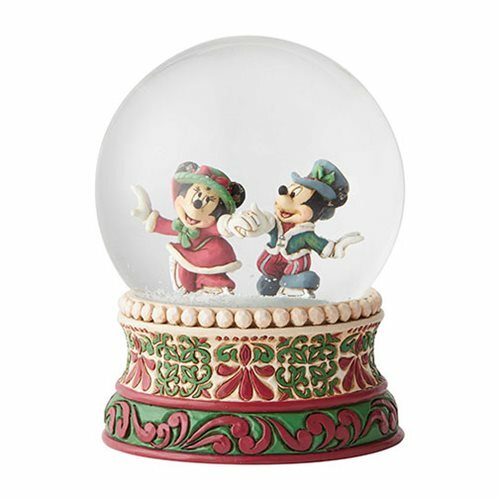 Fun in the snow with Minnie and Mickey! 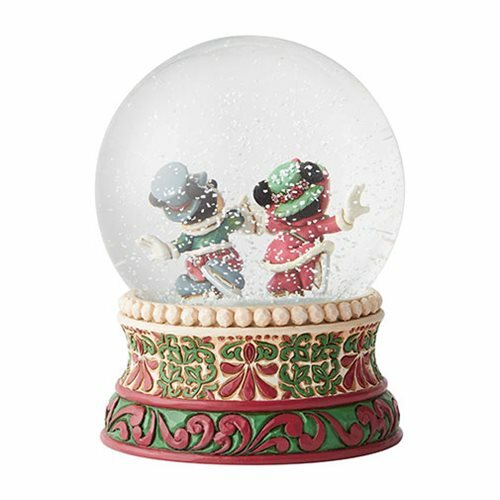 The delightful duo glide across the ice in this marvelous Disney Traditions Mickey Mouse and Minnie Mouse Skating Splendid Skaters by Jim Shore Snow Globe. Made of polyresin and calcium carbonate, it measures about 6 1/4-inches tall x 4 5/8-inches in diameter.